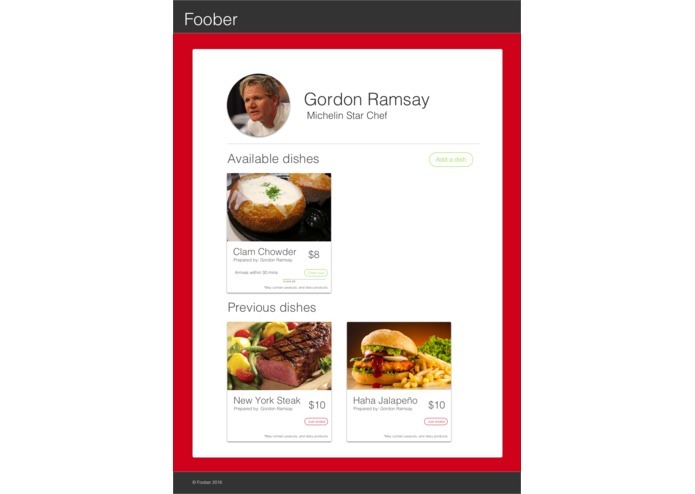 Foober allows talented home cooks to prepare and sell meals to the local community. 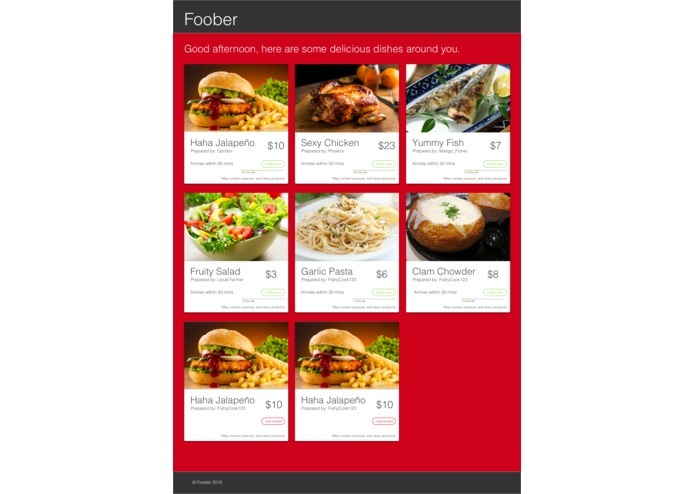 Home cooks post meals that customers can browse on the Foober app. 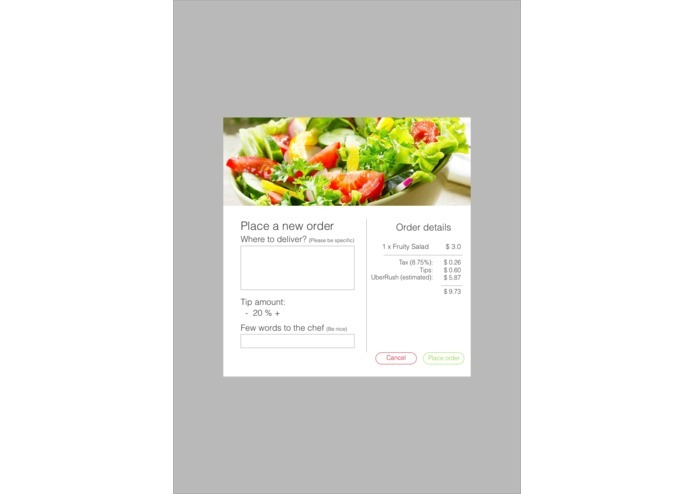 When a customer orders a meal, the meal is delivered to them through the UberRush API. 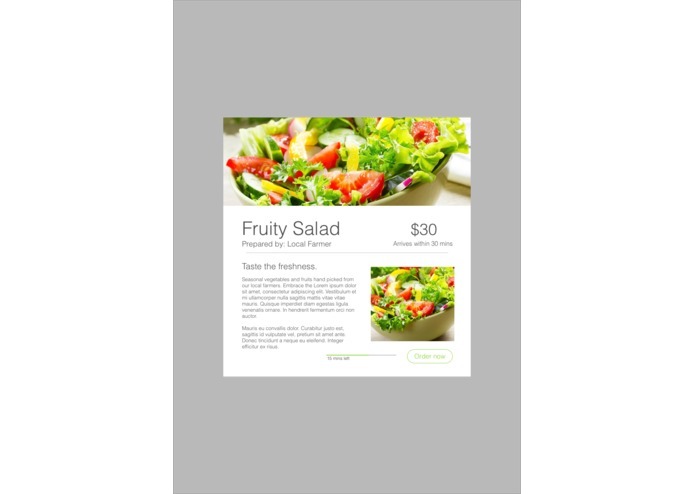 We decided upon a sophisticated and challenging layout, meaning that we learned a lot about formatting Bootstrap CSS. There was also a steep learning curve for learning the Java Play framework. 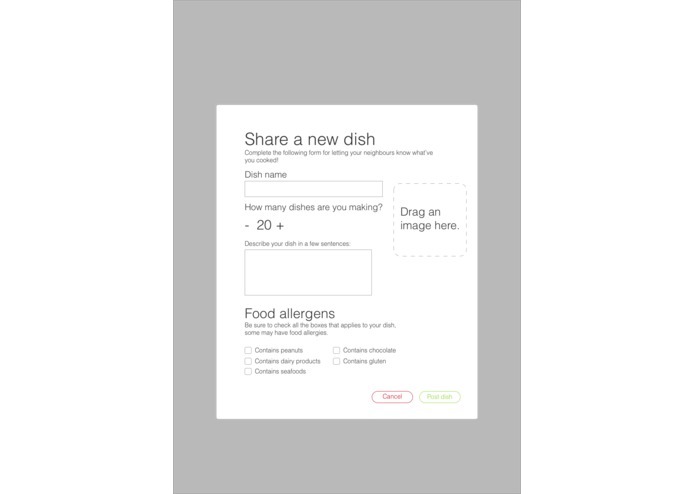 The app looks highly polished and sleek, and the idea has the potential to really help make a difference for under-appreciated home cooks and hungry communities everywhere. We learned how to use the Java Play framework and how to utilize Bootstrap CSS to make sophisticated app designs. The next step would be to expand our app to add more opportunities for feedback. Additionally, we would implement a system to recognize particularly outstanding home cooks. 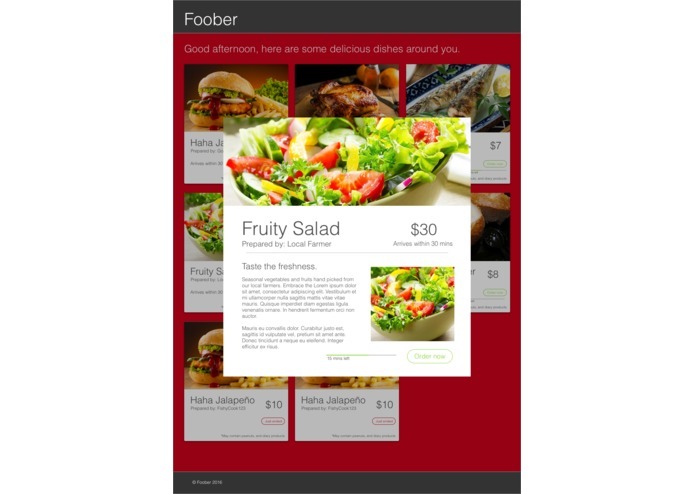 Created the mock ups for Foober and mainly work on the front-end of Foober. I worked on the backend and use the Play framework, a framework written in JAVA, to implement Mongodb as our database. Set up backend router and Ajax on frontend.